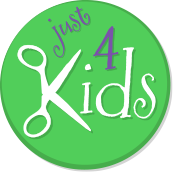 Just 4 Kids Salon offers the most comprehensive kids hair salon menu in Northern New Jersey! 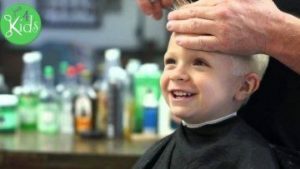 Our fully trained staff specializes in kids haircuts and is attentive to your child’s overall experience, especially if this is his first haircut. Also, unlike a traditional adult salon, a children salon must also consider the difference in the thickness and texture of children’s hair versus adult hair. Finally, our children salon is located in Hoboken, NJ. Further, we provide an unheard-of free parking lot in the rear of our Monroe Center location. Consequently, this makes it easy and convenient for our customers from all over New Jersey to easily visit us! Please also check out our robust Kids Nail Spa and Kids Skin Spa menus. Also, book a fabulous party package on our Kids Birthday Party Menu. 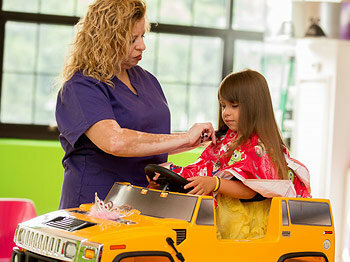 Remember, at Just 4 Kids Salon, we boast the most comprehensive Kids’ Salon Services Menu in Northern New Jersey. Furthermore, we are the kids hair salon, nails spa, makeup experts and posh childrens birthday party spot in Hoboken! Check out our Kids’ Hair Salon Menu in more detail! Just click on the various sub-links to get more information. Or, you can give us a call at (201) 653-KUTS (5887) to speak with a manager to learn more! You can also Book an Appointment for Salon Services or Birthday Parties for your child on our Facebook page, or automatically by clicking on the orange “Book an Appointment” button above! I signed up to yelp just to write a review about the experience I had at Just 4 Kids Salon. First let me begin by saying that I don’t even get treated this good in my own salon where I spend a lot more money. This place couldn’t be any more perfect than it is .. My 4 year old grandson & I we’re treated so amazingly & warmly as possible , the stylist Samantha took my grandson under her wing as if he was her own catering to his every need & not letting him for one second become uncomfortable & the cut she gave him couldn’t be any more perfect either! I am overly stunned by this place and it’s entire staff & is worth coming here each time! Thanks for checking out our Kids Hair Salon Menu!